As we have mentioned in many of our previous recipes/blog posts – we love homemade bread and buns and this is what we usually have for breakfast in the weekends. 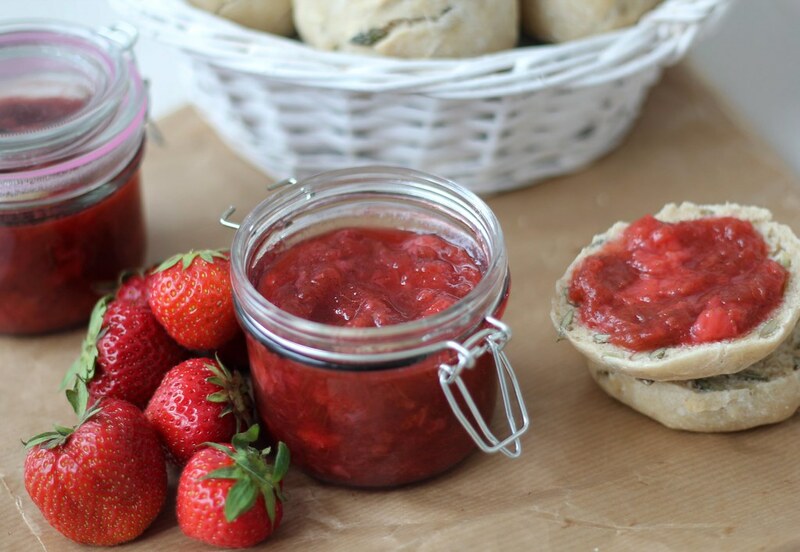 In our opinion the perfect weekend breakfast is a freshly baked bun with some homemade jam. 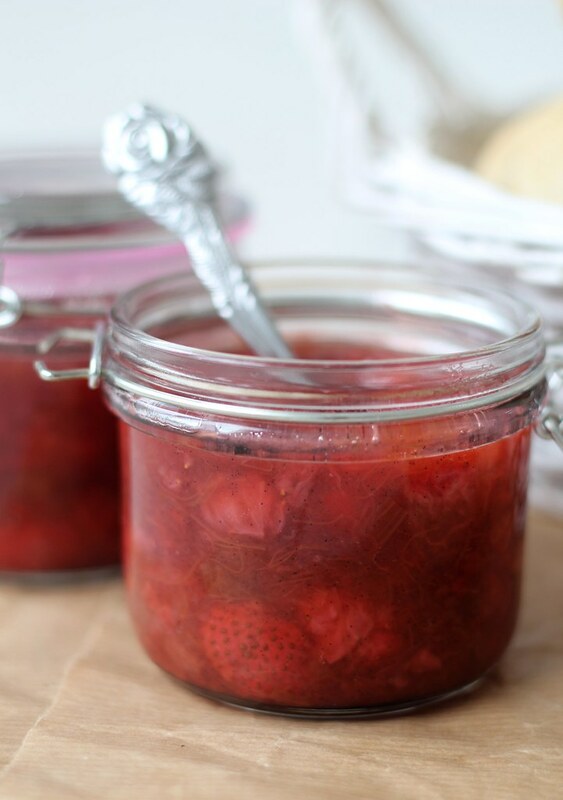 Many people thinks that homemade jam is a difficult and time consuming process – this is not true! Making your own jam is very simple and takes about 45 minutes. If you buy jam from the grocery store it is packed with additives. 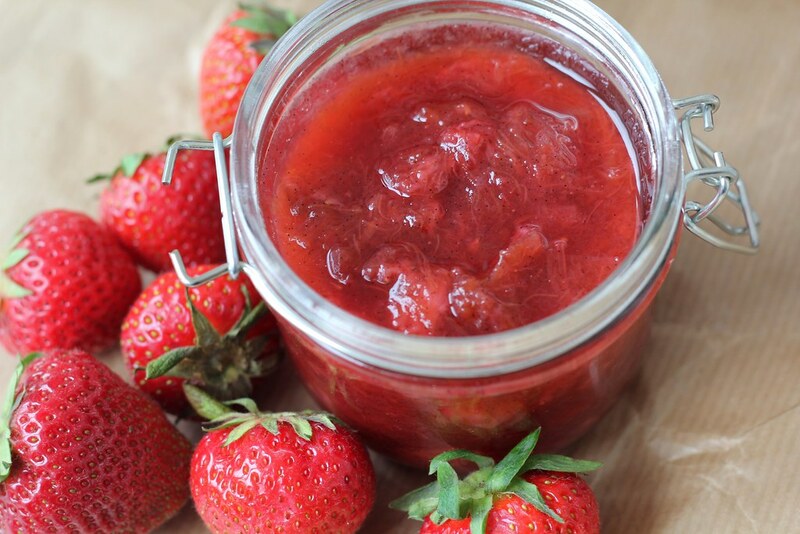 The great thing about this recipe for homemade strawberry and rhubarb jam is that it only requires four different ingredients, that is rhubarb, strawberries, sugar and a vanilla bean – it is that simple! And we love simple! Jam is in general not healthy, but we do not care that much if we have made it ourselves and know that the food is made by a simple and basic recipe without all the additives. Of cause the expiration date for this homemade jam cannot be compared with the jam bought at the supermarket. However, if you remember to clean your glass jars with boiling water you can easily keep this jam for a couple of weeks. 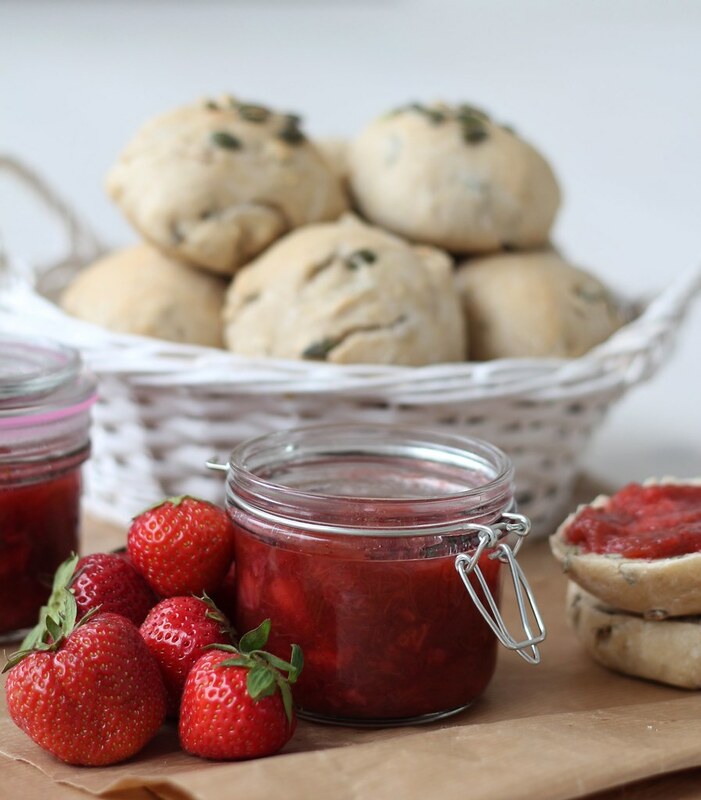 We can recommend serving the jam with these overnight pumpkin seed buns or our birthday buns. 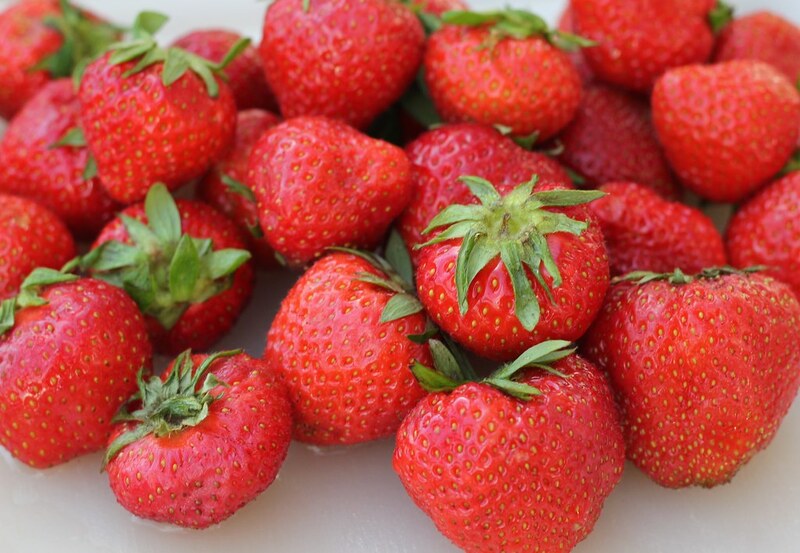 Step 1: Clean the rhubarb and strawberries and cut them into smaller pieces. 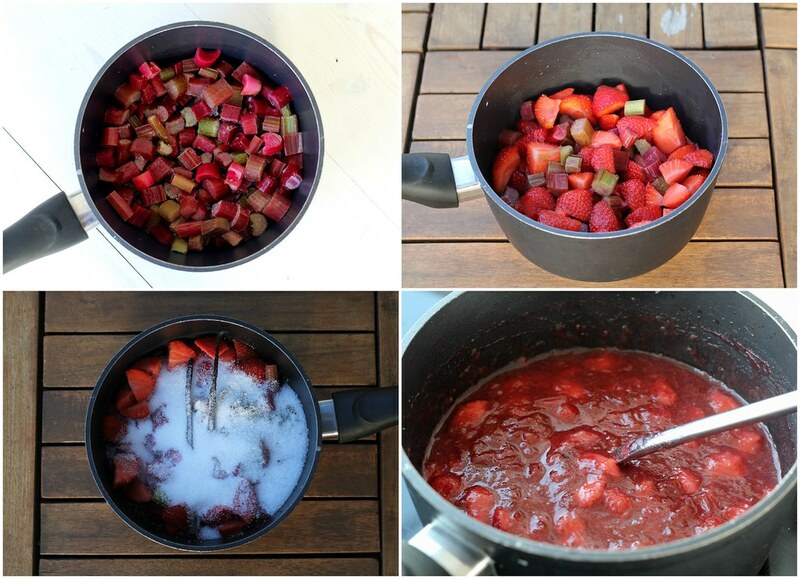 Step 2: Pour the rhubarb and strawberries in a large sauce pan. Step 3: Extract the seeds from the vanilla bean using a knife and mix them with the sugar. Pour the vanilla and sugar mixture in the sauce pan. Also add the empty vanilla beans. Step 4: Heat up the jam mixture and let it boil for about 10-15 minutes depending on your preferences for the consistency. Step 5: Clean some small jars with boiling water – this will extend the expiration date. Pour the jam in the jars and keep them refrigerated. 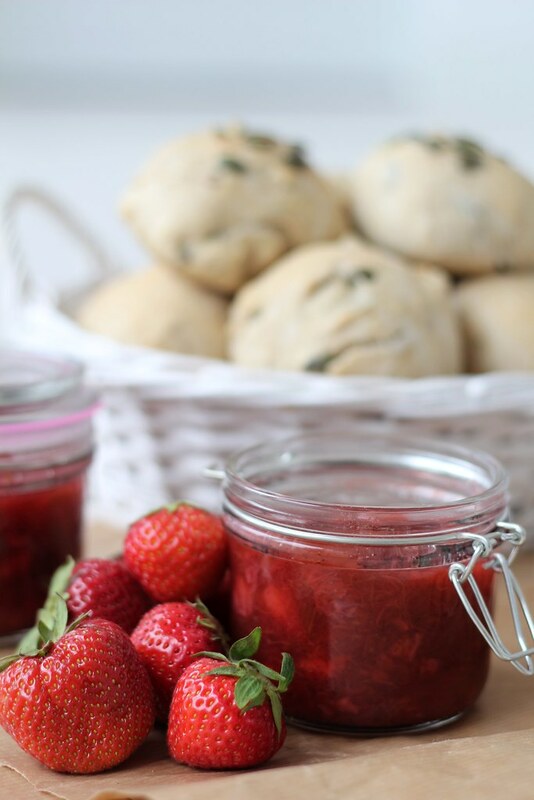 Tip: Serve the jam with some overnight pumpkin seed buns. 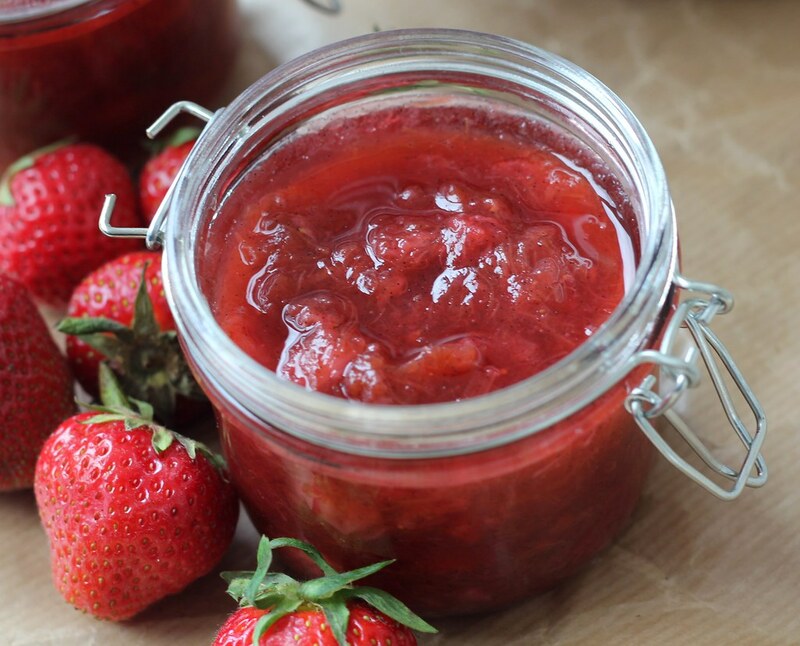 I love strawberry and rhubarb jam! Never made my own before though.. thanks for the recipe. You have definitely inspired me to make my own! Thank you for sharing your delicious recipe. I prepare and enjoy this alot. ?